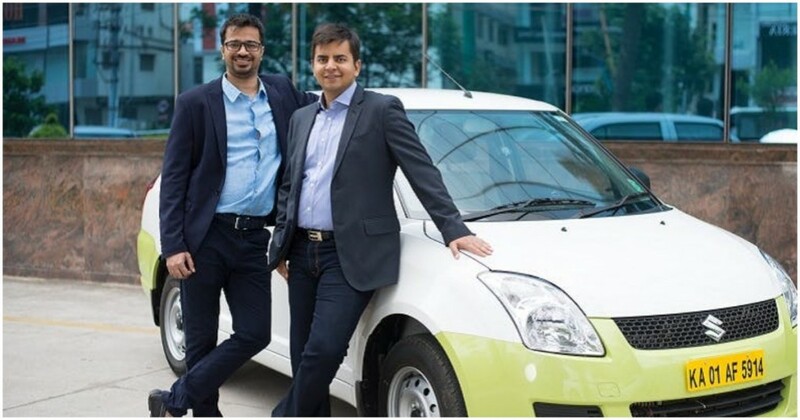 When Bhavish Aggarwal and Ankit Bhati had started off Ola as a cab company in 2011, they wouldn’t have guessed that a few years later, they’d become also become a major insurance provider. Ola has claimed that it is now India’s largest micro-insurance player, thanks to the 20 million insurance policies that are booked on its platform every month. Ola lets users buy insurance for each ride they take; since the program’s launch in April last year, Ola says it now insures 20 million rides a month through its app. Ola lets users insure city rides for Rs. 1, and outstation rides for Rs. 49. This insurance provides accidental death insurance of Rs. 5,00,000 for city rides and Rs. 7,50,000 for outstation rides, as well as cover for accidental medical expenses, hospitalizations, and for outstation rides, even insurance against loss of baggage. Users clearly seem to not mind paying the extra rupee each time they take a ride, and with 2 crore users opting for these insurance policies each month, it adds on to a pretty tidy sum for Ola. In the cutthroat world of cab-hailing, it’s an additional income stream that Ola will be glad to have. Uber and Ola have been struggling to eke out any profits through their cab-hailing business, with both companies trying to keep their fares low to woo customers. In such a scenario, they’ve both been trying to make money through other means — Uber runs UberEats and Ola not only runs Foodpanda, but also has an in-cab entertainment system called Ola Play, which could potentially become an advertising channel. But financial services seems to be the next big push for Ola. The company recently applied for an NBFC license, which will allow it to eliminate third-parties for its financial products. Apart from insurance for rides, Ola also provides insurance for its driver partners, and runs its own digital wallet called Ola Money. With the wealth of data that Ola has on its drivers and customers — Ola knows exactly how much its drivers earn, and knows how much its customers spend on rides, and where they travel — it can create financial products that are tailored to end users. And with the company already becoming India’s largest micro-insurance platform, financial services could end up being the arm that finally makes Ola some money.